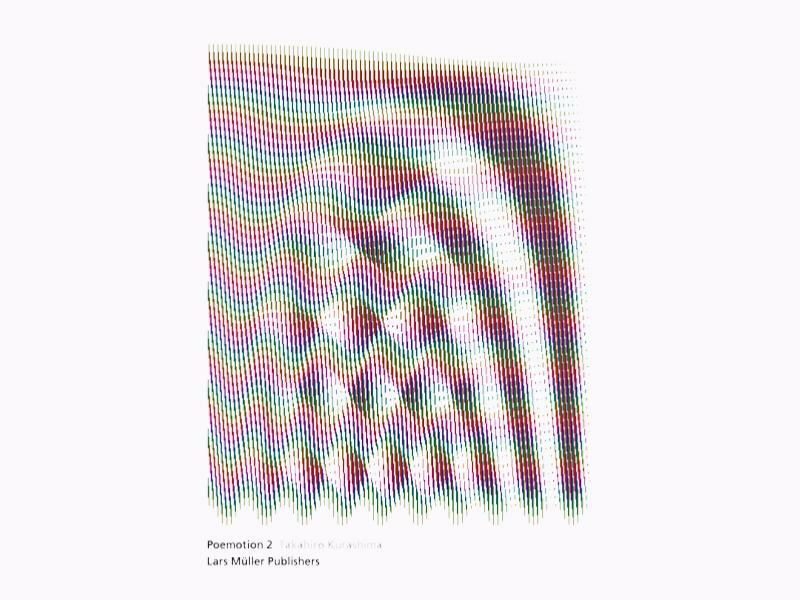 This interactive book object Poemotion 2 is a colour sequel to Takahiro Kurashima’s popular title Poemotion 1 from Lars Muller Publishers. The abstract graphic patterns in this slim volume start to move as soon as the reader overlays them with the special film enclosed: moire´ effects create complex shapes, make circles start to spin, and set graphic patterns vibrating. New in Poemotion 2 is the use of colour. The observer discovers playfully how optical overlaps between colourful figures and shapes come about, are set in motion, and then disappear again. Paperback. 17 x 23cm. 64 pages. 30 illustrations. This interactive 'book object' is the creation of the Japanese artist Takahiro Kurashima. 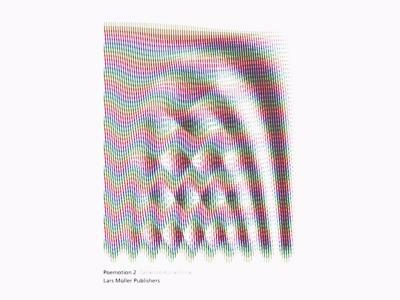 The book contains a number of curious abstract images - when you place the overlay on top of an image and move the overlay, extraordinary moire patterns appear. With this book the viewer can discover how, as if by magic, figures and forms are created out of optical overlays, set in motion and then disappear again. In the era of digitalization this book shows that interactivity is also possible in the format of the analogous, bound book.